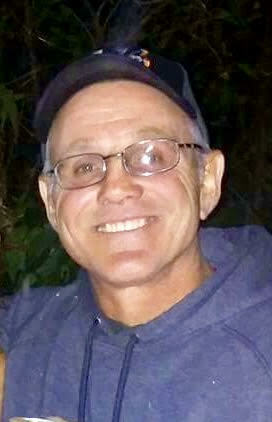 Edward Paul Nickell, age 53, passed away on Thursday, November 1, 2018, in Montgomery, Ohio. He was born September 24, 1965, in Hamilton, Ohio, to the late Paul and Irene Nickell. He attended Edgewood High Schoool. He was an avid Bengals fan. He was loved and accepted by all. Survived by children, Cody (age 25) and Trevor (age 6); grandchildren, Eliannah, Chance, and Kayne; siblings, Terry (Kathy) Noe, Edna (Bernie) Johnson, Terry Huff; several nieces and nephews. In addition to his parents, he was preceded in death by his daughter, Victoria; brothers, Teddy Noe and James Gfroerer. Visitation is from 11:00 am until noon, on Wednesday, November 7, 2018, at the Walker Funeral Home, 532 S. Second Street, Hamilton (45011). The funeral service will immediately follow the visitation beginning at 12 noon. Pastor Brother Paul Tillett, Officiating. Interment will follow at Hickory Flats Cemetery, 4235-4481 Morganthaler Road, Hamilton, Ohio 45011. To share a memory of Edward or leave a special message for the Nickel family, please click the "Tribute Wall" tab above and to the right, enter the information, and click "Save Post." Walker Funeral Home, 532 South Second Street, Hamilton, Ohio (45011) is serving the Nickell family. Please call (513) 251-6200 or visit www.WalkerFuneralHome.com for additional information. ANY DONATIONS MAY BE MADE TO EDNA JOHNSON FOR THE GRAVE MONUMENT.